A mix of horror and fun, the "Evil Dead" movies star Bruce Campbell as a macho man fighting deadly zombies in a cabin -- and beyond. 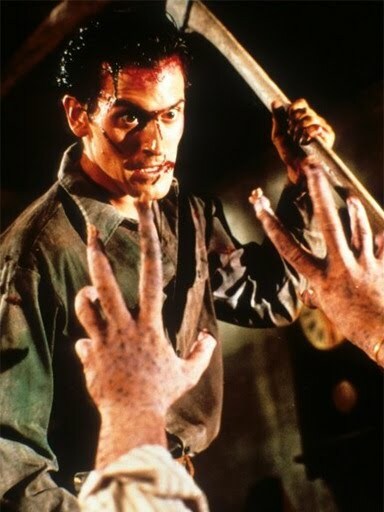 "Evil Dead" rated NC-17 for substantial graphic horror violence and gore. "Evil Dead II" rated R for strong gory horror violence and language. "Army of Darkness" rated for violence and horror.